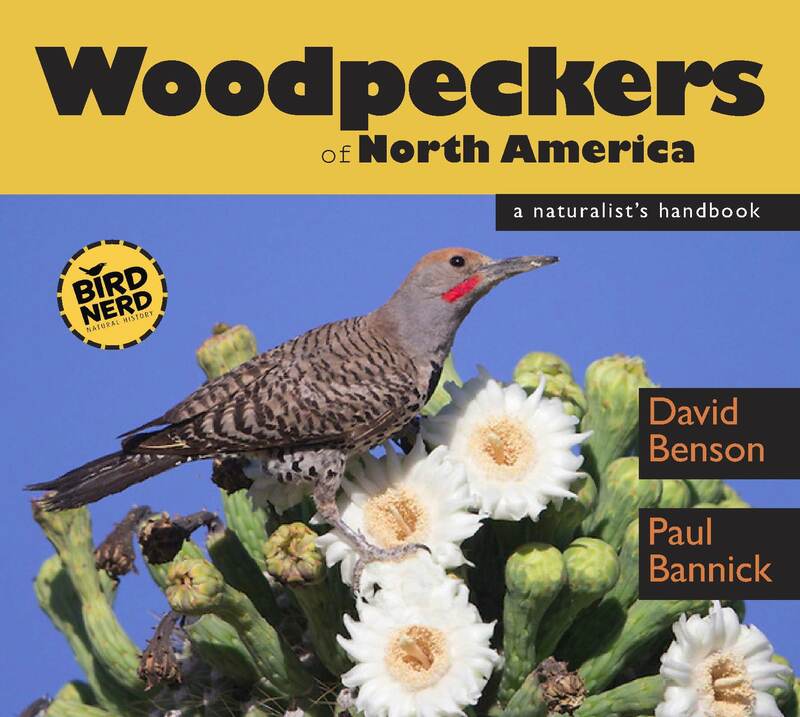 Like a hike in the woods with a naturalist,this book takes you on a journey into the world of woodpeckers. It explains how to tell them apart, how they live,where they live, and the most interesting details about their lives. Packed with photos that capture the beauty and intrigue of woodpeckers. —Useful for the entire U.S.
—Author of many magazine articles. and Gooseberry Falls State Parks. David Benson is a writer and naturalist. He has been the naturalist at Hawk RidgeBird Observatory, Gooseberry Falls and Jay Cooke State Parks in Minnesota, and Pattison State Park in Wisconsin. He has conducted owl surveys and training sessions for the Minnesota DNR and the National Park Service, and has taught classes in bird identification and behavior for many groups. He is the author of over 100articles and several books, including the first in the Naturalist’s Handbook series—Owls of the North. David lives in Duluth, Minnesota. The Owl and the Woodpecker. Paul Bannick is an award-winning wildlife photographer specializing in the natural history of North America with a focus on birds and habitat. In 2012 Paul was awarded the Canon prize in the International Conservation PhotographyAwards. His first book, The Owl and the Woodpecker(2008), is a best seller. Paul currently serves as the Director of Development for Conservation Northwest,an organization dedicated to protecting and connecting wild areas from the PacificCoast to the Canadian Rockies. Paul lives in Seattle, Washington.